Media | Julian Ruck - Author, Columnist and political commentator. ITV/S4C September 13th 2017 Guest – up in the next two weeks. There are too many columns etc to be mentioned here. 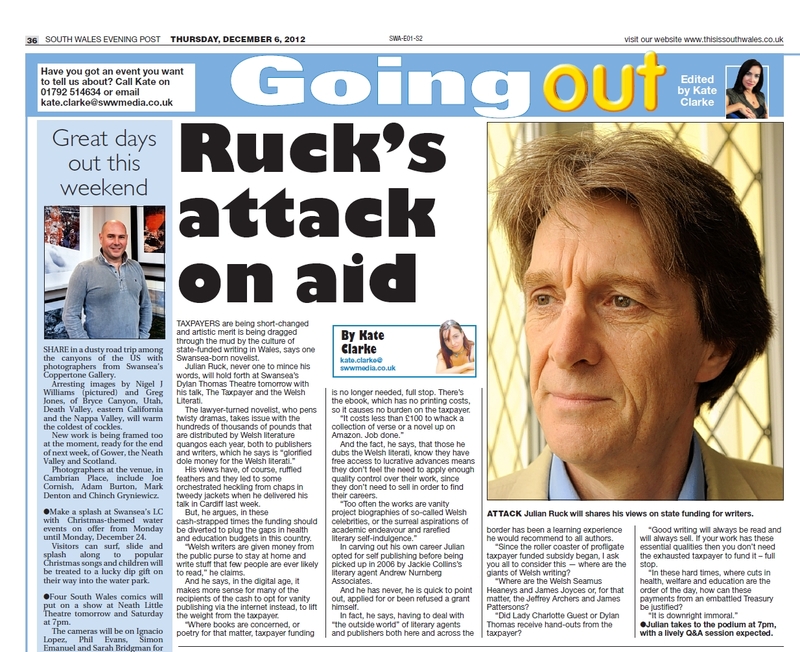 http://www.walesonline.co.uk/news/wales-news/author-julian-ruck-not-been-10745861 – Western Mail. Correction, that’s seven published novels. http://www.walesonline.co.uk/news/wales-news/review-controversial-writer-julian-rucks-7025738 – Shifty Shipton’s Last Stand in the Western Mail, and not a whisper about his own book being paid for by the taxpayer!